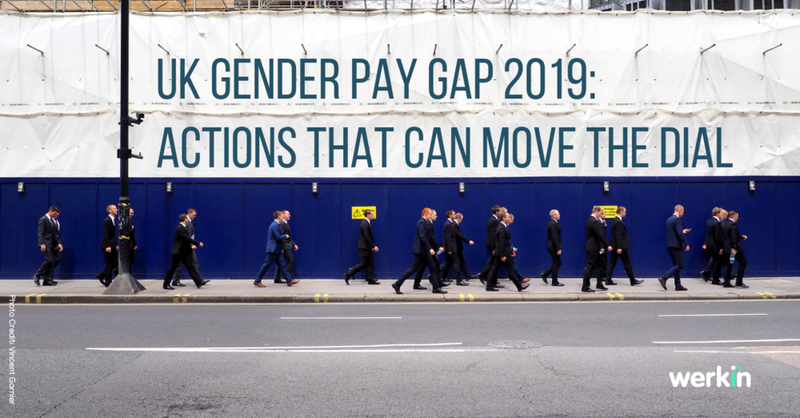 With four months to go until the 2019 UK gender pay gap deadline, 6% of employers have already submitted their numbers. This early data shows a median pay gap of 11.4%, a slight improvement from 11.8% a year ago. Research by executive recruitment company Spencer Stuart also reveals the proportion of women on FTSE 100 executive committees has slid backwards from 18.6% in 2018, compared with 19.4% in 2017. Meanwhile, the percentage of all-male executive committees has more than doubled from 7.6% to 15.7%. It seems progress on narrowing the gender pay gap has stalled. Commentators say these mixed results show a need for employers to submit action plans, targets and narratives alongside their numbers. Only one in five employers sampled has produced an action plan to close the gender pay gap. Only 11% had set themselves targets that would enable them to measure progress of their plans year on year. Most corporate leaders now understand companies must achieve diversity if they want to acquire and retain talent, build employee engagement and improve business performance. According to a new survey of 2,000 UK employees by Boston Consulting Group, 46% of female respondents said no progress had been made in their organisation in the past three years. Not only that, UK workers are more likely to leave companies that fail to make progress on diversity and inclusion. Clearly, companies have not made much progress in their ability to deal effectively with diversity and the problem is acute at the leadership level. BCG’s data shows most company leaders—primarily white, heterosexual males—still underestimate the challenges diverse employees face. · Half of all diverse employees stated that they see bias as part of their day-to-day experience at work. · Half said they don’t believe their companies have the right mechanisms in place to ensure that major decisions, such as who receives promotions and stretch assignments, are free from bias. Knowing what works is the first step. The Government Equalities Office has partnered with Professor Iris Bohnet, author of What Works: Gender Equality by Design to publish a guide to improving gender equality in organisations. Provide a clear brief, including diversity targets, to any recruitment consultants and executive search firms. Introduce women’s networks to develop peer support across the organisation. Develop mentoring schemes for women to build skills and encourage development. WERKIN’s tech-enabled mentoring platform uses algorithms to impartially match mentors and mentees across large organisations. WERKIN’s approach reduces bias by identifying employee skills, achievements and interests using technology rather than human instinct. Managers can set goals and schedule regular meetings as mentees work towards achieving learning objectives. Push notifications and optional geolocation connect mentors and mentees across global teams, helping them to meet for a coffee should they find themselves in the same city. Team leaders can also assign stretch assignments based on development needs rather than who is visible in their immediate circle. At the close of the financial year, dashboards showing the number of mentoring meetings, milestones, stretch assignments and promotions is available for stakeholders and shareholders, demonstrating progress towards gender pay gap targets. Although the UK Gender Pay Gap is heading in the right direction, there is still a lot that can be done to provide women access to the same development opportunities as men in the workplace. Studies show building a pipeline of qualified women requires reducing bias in the selection process for promotions, stretch assignments and mentoring. Technology can level the playing field by minimising the influence of unconscious bias in these decisions. WERKIN combines behavioural science research with technology to deliver a solution that reduces bias, streamlines workplace processes and provides measurable results. What is your company doing to move the dial? Tackling a complex problem like the gender pay gap, WERKIN helps organisations define metrics to track progress towards building more equitable workplaces.